Design devices that warn you of excesive ultraviolet radiation levels with UV click. 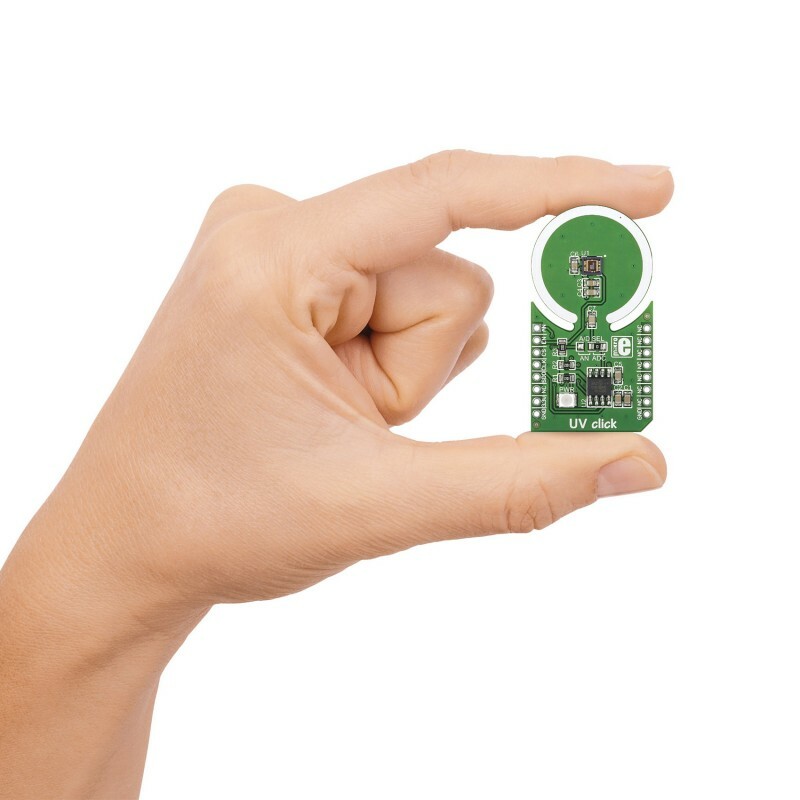 This click boards carries the ML8511 IC that is sensitive to UV-A (365-315 nm) and UV-B (315-280 nm) rays. Design devices that warn you of excesive ultraviolet radiation levels with UV click. This click boards carries the ML8511 IC that is sensitive to UV-A (365-315 nm) and UV-B (315-280 nm) rays. The board can output either analog or digital signals proportional to the amount of UV exposure. 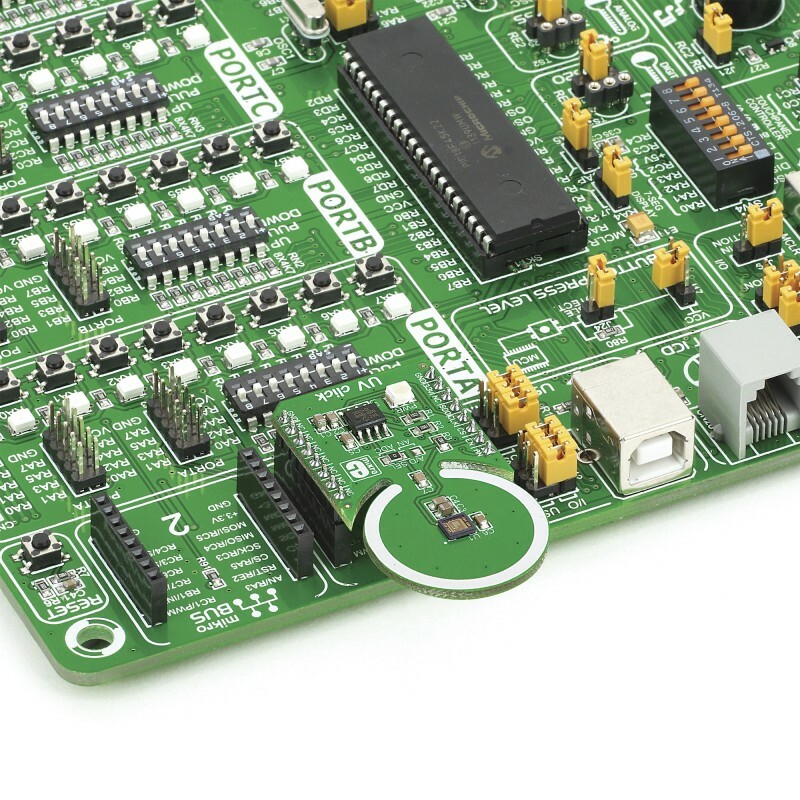 To bypass the onboard MCP3201 ADC and get an analog output, solder the A/D SEL jumper in the AN position. 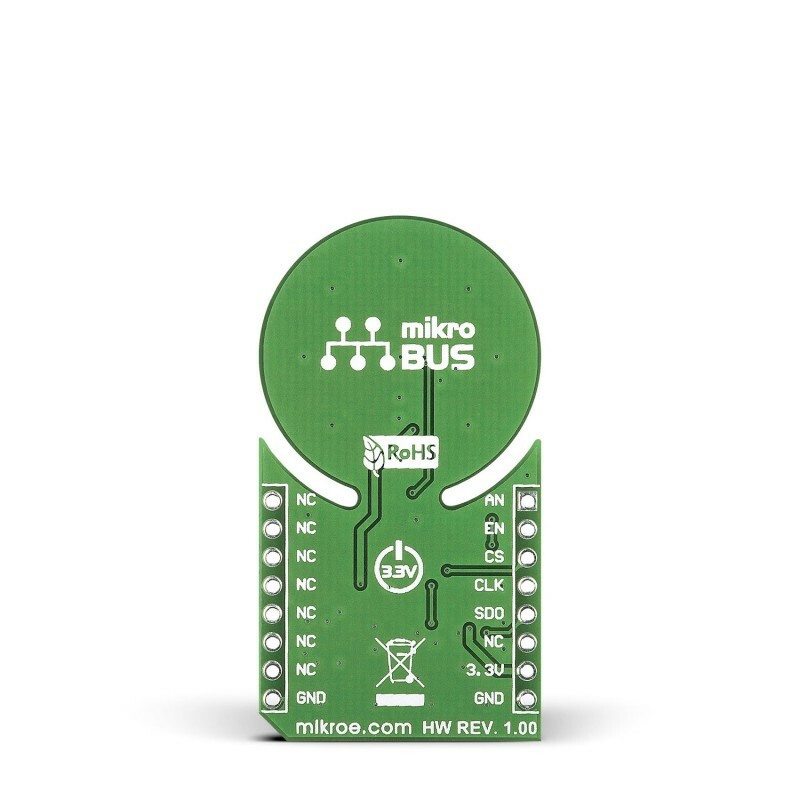 Depending on the position of the jumper, UV click communicates with the target board either through mikroBUS SPI (CS, SCK, MISO) or AN lines; additionally, the sensor can be enabled or disabled from the MCU through the RST (EN) pin. When handling UV click, be careful not to press or rub the sensitive surface of the ML8511 sensor IC. 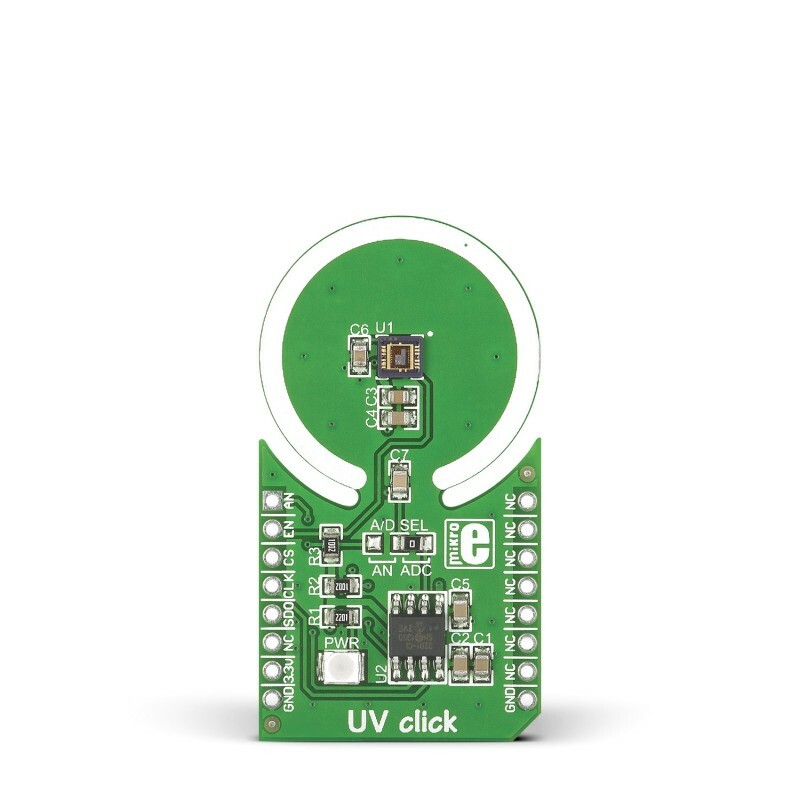 UV click uses a 3.3V power supply only.